Michigan farm. Image: Kevin Dooley, Flickr. An annual update to Michigan state agriculture practices could allow for farms to be built anywhere, critics say. But supporters of the update say that is untrue and that the proposal simplifies building procedures for many existing farms and that could lead to more agricultural business. The Department of Agriculture and Rural Development is expected to approve changes to the practices that protect farmers from lawsuits, said Catherine Mullhaupt, staff attorney for the Michigan Townships Association. 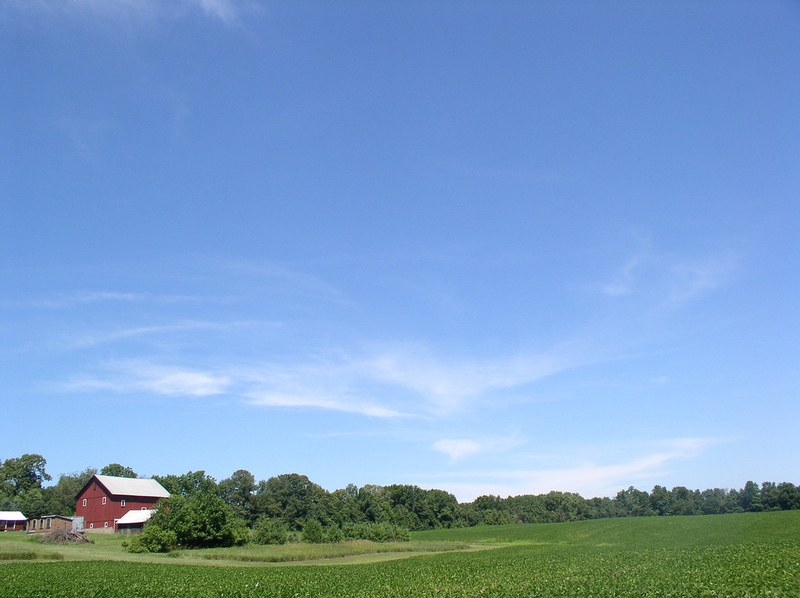 The practices, known as Generally Accepted Agricultural Management Practices, are rules that farmers must follow to receive protection under Michigan’s Right to Farm Act, Mullhaupt said. They are voluntary, but if farmers do not follow them, they are vulnerable to lawsuits. These practices now abide by local zoning, Mullhaupt said. However, the annual update removes any mention of local policies. Several groups disagree on the effects that will have on Michigan’s agriculture. The changes could interfere with community planning, said Tom Zimnicki, the agriculture policy director for the Michigan Environmental Council. “Right to farm has devolved into a broadsword for the agricultural industry that allows them to dictate the makeup of communities,” Zimnicki said. But state officials say the state practices are not obligated to be consistent with local ordinances and policies. If the local policies contradict the department’s practices, the department’s practices should be followed, said Jim Johnson, the director of the environmental stewardship division of the Agriculture and Rural Development. In fact, the changes could encourage more appropriate farm locations, he said. As an example he noted that a farmer in Newaygo County once tried to build a farm in the forest away from nonfarmers. But that violated Newaygo’s zoning, so he moved the farm to another county — ironically, closer to residential areas. Under the updated practices, situations like that would not happen, Kapp said. The change is an attempt to address situations when zoning has been unfairly used against farmers, Johnson said. In 2015, a section of Brady Township in Kalamazoo County that had been zoned for agriculture was changed to residential. The township then began to decide if new farmers could have livestock. The township association opposes the change because the current system has worked fine, Mullhaupt said. The Farm Bureau approves of the changes because they would allow farms to be built in more areas, without causing conflicts, Kapp said. These practices are evidence-based and must comply with emerging new knowledge, Kapp said. That’s why they are updated. By following these practices, farmers receive protections from nuisance complaints under the Right to Farm Act, Mullhaupt said. Nuisance complaints are about noise or odor, and farmers saw an uptick in them the 1990s because a wave of people moving from the suburbs to rural areas, Zimnicki said. Public comments are taken every year on proposed updates to these practices, Kapp said. Although an exact date hasn’t been set, the changes could be made in early 2019. The practices are reviewed from November to January, and updates are usually approved around January, Johnson said. Although the public comment period has passed, people can still send comments to Agriculture and Rural Development, Zimnicki said. Comments can be sent through the department’s website and by attending public sessions with state officials, Mullhaupt said.